Eguchi, K. and Amano, H. E. 2004. Spread of exotic birds in Japan. Ornithological Science 3: 3-12. Eguchi, K. and Amano, H. E. 2004. 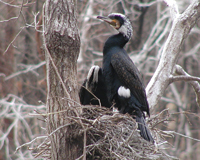 Invasive birds in Japan. Global Environmental Research 8(1): 29-39. 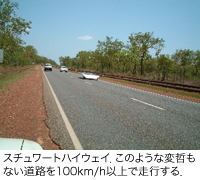 Tojo, H. and Nakamura, S. 2004. 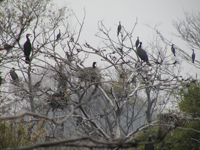 Breeding density of exotic Red-billed Leiothrix Leiothrix lutea and native bird species on Mt. Tsukuba, central Japan. Ornithological Science 3: 23-32. Tojo, H., Osawa, K., Terauchi, H., Kajita, M., Kajita, A. and Watanuki, I. 2004. Invasion by White-browed Laughing Thrush Garrulax sannio into central Japan. Global Environmental Research 8(1): 23-28. Amano, H. E. and Eguchi, K. 2002. 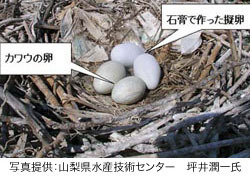 Nest-site selection of the Red-billed Leiothrix and Japanese Bush Warbler in Japan. Ornithological Science 1: 101-110. 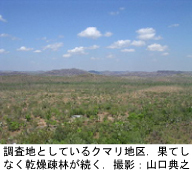 Amano, H. E. and Eguchi, K. Foraging niches of introduced Red-billed Leiothrix and native species in Japan. Orniyhological Science 1: 123-132.